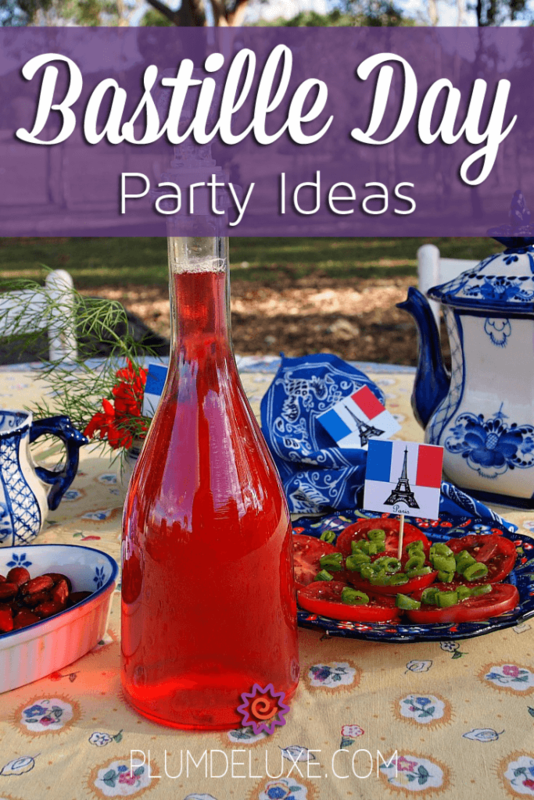 With Bastille Day just around the corner, it’s time to jot down Bastille Day party ideas and plan a humdinger of a tea party for your Francophile friends. Known in France as la Fête Nationale or 14 juillet, Bastille Day is on July 14, the day the people of Paris stormed the Bastille prison in 1789. Soon the monarchy was overthrown, the Republic was established, and history began its slow march towards the modern nation France is today. Traditionally, festivities begin the night before with parties and dances. Bastille Day itself is usually spent outdoors with friends and family, feasting and drinking before ending the day with lavish fireworks displays. 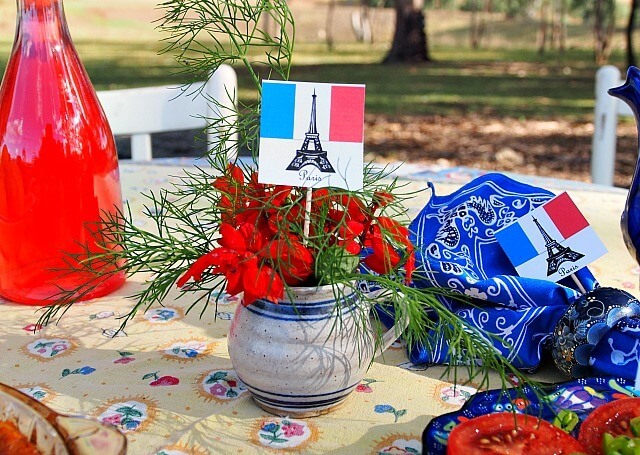 Outside in the sunshine is the perfect setting for your own Bastille Day Tea Party. Create a welcoming outdoor space with a generous table, ample comfortable seating, and a spot under the trees where dappled sunshine and cool breezes will keep your guests happy for hours. Choose traditional French linens such as a vibrantly colored Provencal tablecloth reminiscent of the sun-drenched countryside. Keep the country theme going with simple bouquets of garden flowers and herbs. 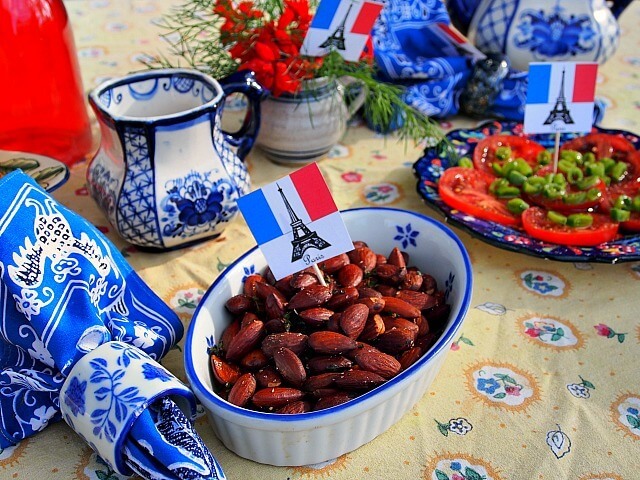 Celebrate the white, blue, and red of the French flag by choosing red flowers, blue and white crockery, and cheery little French flags tucked in napkin rings, flower arrangements, and food platters. Rather than serving hot tea, supply an array of iced teas to keep your guests cool as they celebrate throughout the balmy afternoon. Choose teas in vibrant red to complement the colors of your décor, such as tangy hibiscus or raspberry. Try Spiced Berry Refresher Black Tea with blackberry and pomegranate for a luscious iced tea with a hint of spice. To embrace the French joie de vivre, provide fruit liqueurs for your guests to flavor their iced tea with instead of sugar or honey. Try strawberry liqueur, elderberry or cherry, and toast each other’s good health with a merry heart. 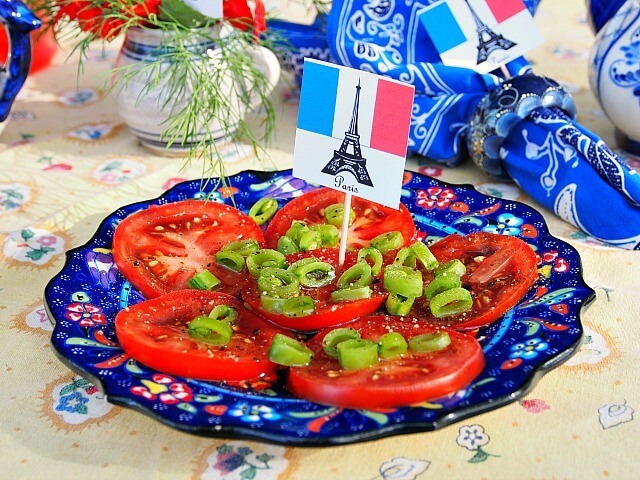 French food is justly famous for its simplicity, elegance, and exquisite flavor. 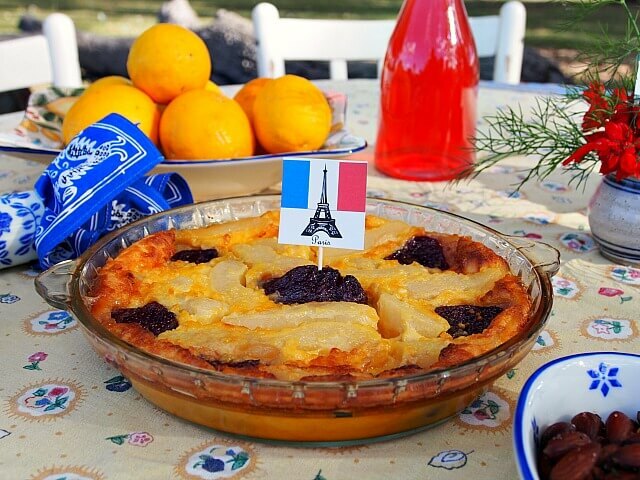 Celebrate Bastille Day with dishes that honor these hallmarks. Start with a tomato salad featuring the best, ripest heirloom tomatoes you can find. Arrange thick slices on a platter, sprinkle with thinly sliced sugar snap peas, and dress simply with extra virgin olive oil, salt, pepper, and a squeeze of fresh lemon. Provide a bowl of beautifully roasted almonds tossed with sea salt and sprigs of lemon thyme for your guests to snack on. Their salty crunch is irresistible. For dessert, skip the ubiquitous Bastille Day cake and serve a gorgeous clafouti instead. It works well with any fruit, but fresh strawberries soaked overnight in liqueur, sliced ripe pears, and a drizzle of pear liqueur are exquisite with the buttery flan-like batter. 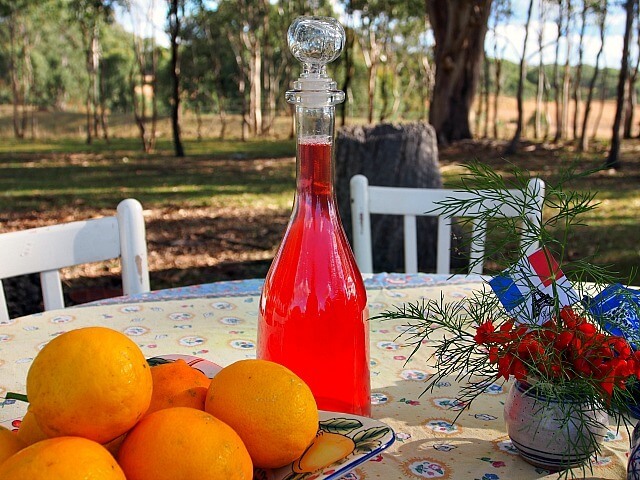 Just before your guests arrive, turn up the volume of Charles Aznavour or Edith Piaf, kick off your shoes, and spend a glorious afternoon under the trees eating luscious Bastille Day food, sipping boozy iced tea, and dancing to classic French music.